Posted on June 10, 2015 by Barry V.
After a good day of birding on Plum Island, I stop by Joppa Flats around 5 pm. The tide is low, and many birds are scattered across the flats of Newburyport Harbor. I admire a group of bonaparte’s gulls, some of which have fully developed black hoods for the breeding season! Also on the flats are common terns, black-bellied plovers, short-billed dowitchers, assorted peeps and quite a few brant. 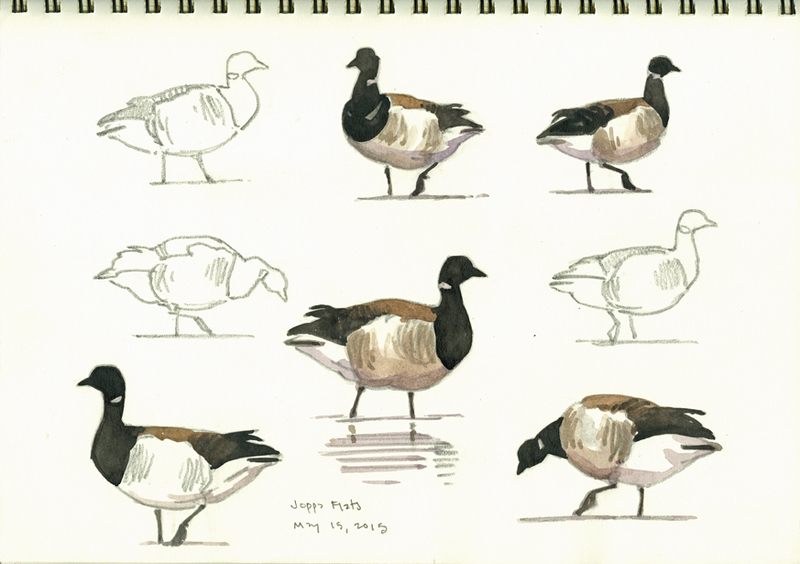 I’m intrigued by the shapes of the brant as they waddle across the flats and peck at morsels here and there. Being birds of the coast, I don’t see them nearly as often as Canada Geese, and only a few times before have I had good opportunities to observe them out of water. These studies would be fun to work with in a larger composition – maybe a project for this winter in the studio! 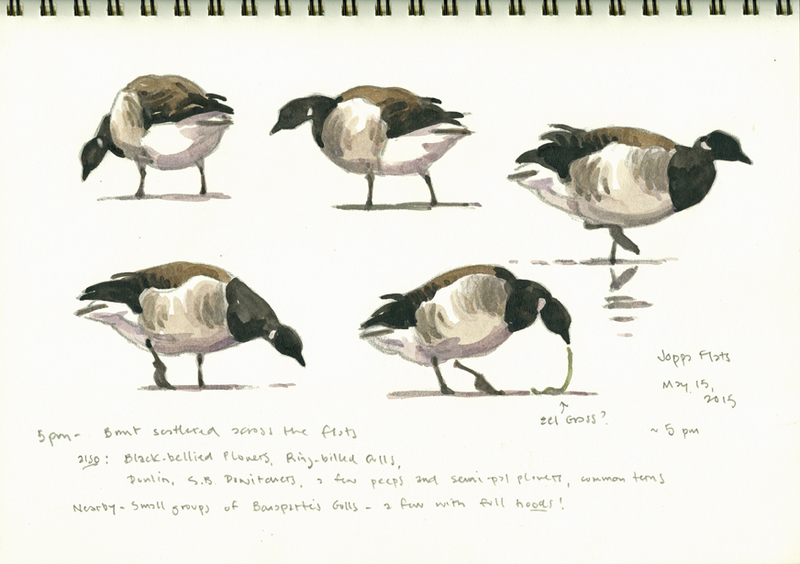 This entry was posted in Artists, Barry Van Dusen Residency, News and tagged Barry Van Dusen, Birds, brant geese, joppa flats, Watercolors, Wildlife Sanctuary on June 10, 2015 by Barry V..
Love Barry’s art and comments!